It’s time for a new look. I have delayed it long enough. Even though tired of the dated design, I’ve been reluctant to move forward with a refreshed redesign. Stuck in my old ways, hesitant to do things a little differently. Have you ever been afraid of change? If God calls us to it, He will be faithful to see us through it. God has impressed upon me the need to freshen up my blog. Through the inspiration of several people, especially my web designer (thank you, Austin Weatherspoon), we are working on a “face lift” with blog updates. I hope to reveal it in a few weeks. In the meantime, browse through my old posts to find words of encouragement given to me by our loving Heavenly Father. My theme will remain the same. The same address will land you on a page of encouragement: www.mothersforprodigals.com Hopefully its new layout will uplift you. I hope God’s comforting messages through me will keep you returning to find His merciful grace and strength for your journey through life. I want to thank all of you who have stopped by to read an occasional post as well as those who have faithfully read my weekly posts for years. My desire is to share the mighty acts of God through Jesus Christ in order to inspire you to see them for yourselves. He is Faithful and True, no matter what we face. He deserves our thanks and praise. Letting go of anything is hard. We are worldly. We set our sights on earthly things. Is it even possible to say with the psalmist that earth has nothing I desire besides you? What if we truly believed and practiced earth has nothing I desire besides you? What would our lives look like? How would others perceive us? Imagine the glory God would gain through lives lived for Him. The psalmist who wrote #73 in the Scriptures declares God is good, to Israel and to those who are pure in heart. Asaph, the psalmist, knew God and His goodness. Yet he became consumed with the wealth of the arrogant. He almost lost his way. He speaks frankly about being jealous of the prosperity of the wicked. It appeared to him that they had everything, including an easy life. Through the awful trap of comparison, he struggled to understand why life seemed so unfair. A right perspective caused his change in perception. He entered the sanctuary of God. Maybe he actually entered the Temple or possibly he went on a retreat. Perhaps he simply got down on his knees and sincerely spoke to God, opening his heart in prayerful meditation. Whatever he did, he found answers. He found refuge. He found peace. I’ve been in the place of envy, wondering why other people’s lives look so perfect. They have every material thing possible. All their relationships seem flawless. They succeed and rise to fame in whatever they do. Promotions and salary increases regularly come their way. Why does everything work out for them? Why, Lord, why doesn’t life work out that way for me? Do we realize we are negating who God made us to be? We are basically complaining to our Creator about His creation. How does our dissatisfaction affect God’s heart? I’m sure He grieves, yet He continues to yearn for His children to be satisfied in Him. I look at myself and see that Almighty God has blessed me with gifts and talents, with a loving family and a roof over my head. All that I have, I offer Him thanks. All that I am, I humbly bow before Him in gratitude. I will remember who He has made me to be. I will praise the God who loves me, no matter what I’ve done or not done. As long as I truly enter His sanctuary with an honest, humble heart, He redirects my path. He holds my hand and walks me through my angst. 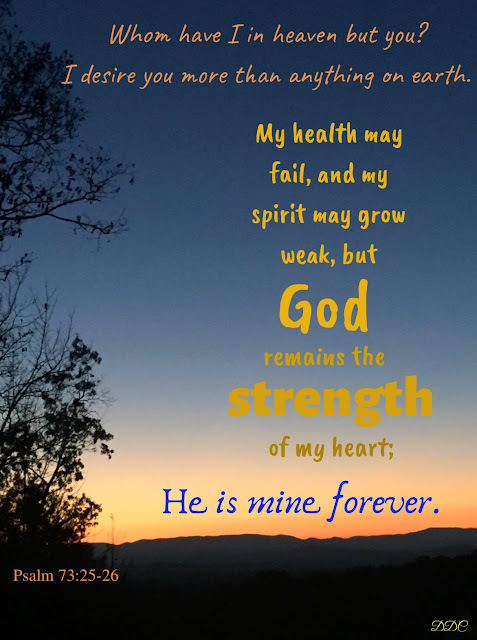 He strengthens me and gives me peace, even as I face the storms of life. Why on earth would I desire anything more? He IS all I need. I could go on and on. I’m so imperfect. But my Father God is perfect. He is all I need in this life and after. He has been and still is my refuge and strength. He has been and still is my Help whenever I cry out to Him. He has been and still is Faithful and True. I am so grateful to Him. I am so thankful for Him. I will let go of attitudes and things that distract. I will hold onto the One who satisfies my soul. I know He will hold onto me as we walk through life together. I will say with confidence it is good to be near God. He is my desire. An artist stands before her easel, paintbrush in hand. Impressive scenery takes shape on her canvas. Any bystander can gage the size of the artist to the scene she creates. Using this frame of reference, imagine God before His heavenly canopy placing His bow, His rainbow, in a cloud. scenes in the heavens. 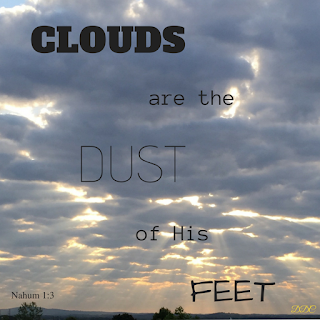 When we realize the greatness of our Creator, it becomes easier to comprehend how clouds are the dust of His feet. Those massive billowy forms bear His footprints. He walks among the clouds. He is mighty. Sometimes those billows bring rain. If they are rolled up ferociously into a hurricane with gale force winds and surging waters, devastation occurs. The southeastern coast of the United States is experiencing such turbulence. My home state of North Carolina, as well as the state of South Carolina, is encountering extreme ruin. Danger, destruction, and clouds surround all residents. Many of my family and friends live there. Intense weather has whipped throughout the area. Everyday life has been stripped away. The normal routine has been submerged. It’s back to the basics of life, the barebones of existence. No fluff, only rough. Where is God? And why has He allowed such disaster? I don’t understand why this tragedy has occurred. I can’t answer why the God of the universe didn’t stop the hurricane. He is God and I am not. But I do know that He is available to all who call on His name. He meets us where we are. Could it be He wants us to yearn for Him more than anything in this world? Noah and his family survived a catastrophic flood. They were the only ones who survived. Death and destruction had confined them to the ark. Their old life was gone. They were in survival mode. They lived through forty cloudy days and nights as water swelled around their vessel. Forty straight days and nights of rain and clouds! Were they frightened? Angry? Yearning for their stuff back home? Quite possibly they were sick and tired of clouds. Did they complain? Did they forget God was near? I think I can answer those questions with a resounding YES! If I had been on the ark or if I was on North Carolina’s coast right now, I would be crying with fear. I might be screaming WHY while I wished for my old life back. I’m sure I would see the clouds as just clouds and not the dust of His feet. Until the day God sets His rainbow in the clouds. The rainbow was God’s promise to Noah of an everlasting covenant with His people. 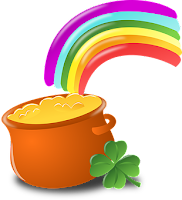 The rainbow guarantees a brighter day. Hope for tomorrow. The silver lining in the clouds. An array of breathtaking color. The rainbow calls to remembrance the covenant between God and man. Its appearance reminds us that we are not forgotten. Its beauty awakens us to the presence of an Almighty God. We can celebrate, not only at Christmas time but every single day, the presence of Immanuel, God with us, Jesus Christ. And Jesus promised He would never leave us or forsake us. He is faithful. God also bound himself with an oath, so that those he promised to help would be perfectly sure and never need to wonder whether he might change his plans. He has given us both his promise and his oath, two things we can completely count on, for it is impossible for God to tell a lie. 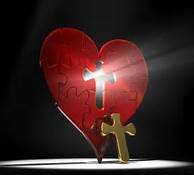 Now all those who flee to him to save them can take new courage when they hear such assurances from God; now they can know without doubt that he will give them the salvation he has promised them. He has made His promise of faithfulness to Noah and to us. He will do it. Do you believe? 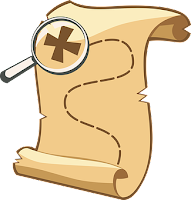 Treasure conjures up many images. A chest full of gold trinkets, beads, coins. A jewelry box containing diamond rings and necklaces. The many irreplaceable things we cling to when loved ones die. Treasures don’t have to be expensive. Where one sees junk, another sees treasure. The value of a treasure depends on its personal worth. Since my parents died, I’ve clung to things they left behind. I cherish their belongings more since their departure from this earth. I wear a diamond ring given to my mom by my dad on their twenty-fifth wedding anniversary. It has monetary value, but its worth escalates for me because it was a part of them. Through the years I’ve accumulated what I consider precious and priceless treasures. Gifts from my husband, pictures drawn by my children, mementos from my grandchildren, on and on and on. Stuff I embrace. Things I can’t let go. As precious as they are to me, they remain stuff, simply stuff. Why do I cling so tightly to them? Jesus spoke these words to His followers in the Sermon on the Mount. He offered eternal life not material life. The accuracy of His words of wisdom rings true today. Why do I allow myself to become ensnared with stuff that does nothing for me? Why is Jesus not the treasure trove I desire? 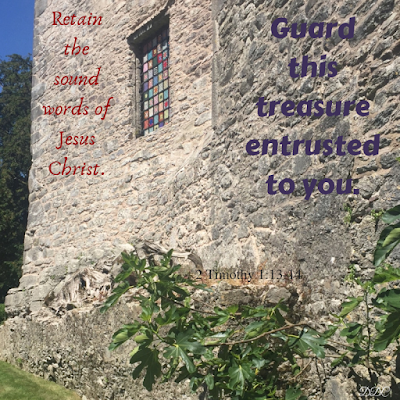 Lord, transform my trivial thoughts to true treasure. reminded of a reliable inheritance. Wonderful memories of attending Sunday school and church with my family. Listening to my dad read daily devotions with prayer at the table. Hearing my mom read Bible stories at bedtime. 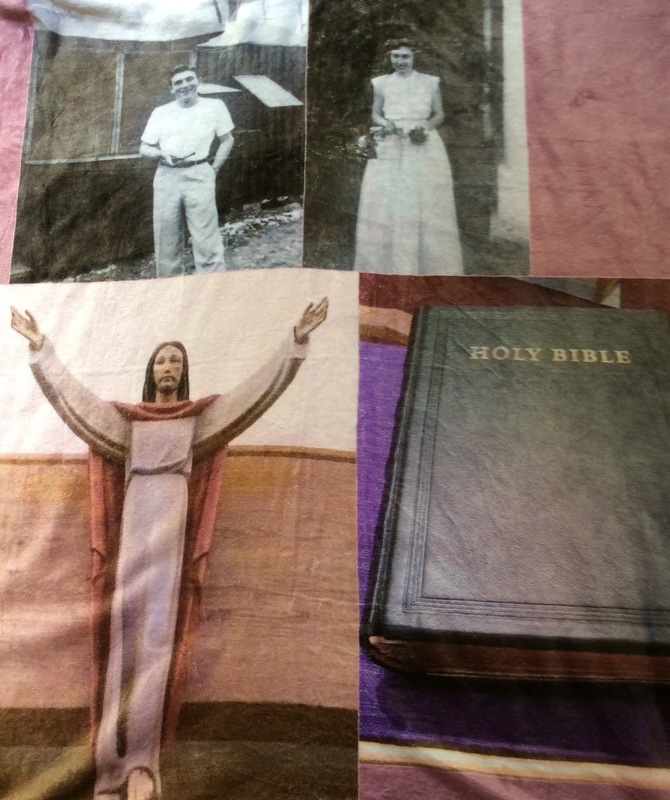 Not only did my parents endow us with material belongings, they left a legacy of faith in God Almighty. My sisters and I were taught about a God who loved us so much that He sent His Son into the world to save us from sin. We learned about Jesus and He is the greatest treasure of all. Jesus said He is the way, the truth, and the life (John 14:6). 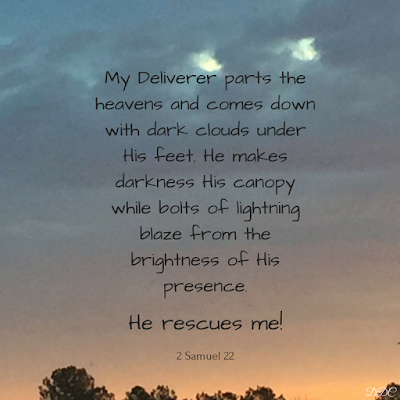 He came to earth to represent the Heavenly Father. He preached words of eternal life (John 6:68-69). He was, is, and will be the Holy One of God. The apostle John tells us He is the Word of God that existed with God from the very beginning. John even explains who Jesus is in detail. These words describe true treasure, God through Jesus Christ. He is a firm foundation, ageless advice, trustworthy truth. He is the Light of the world sent into the world to save the world. We may possess many worldly goods and personal effects to pass on to our children, but it’s all superfluous. What we consider treasure in this world could get taken from us. It won’t last. It’s replaceable. It’s just stuff. God has given us Himself through Jesus Christ. He has entrusted us with His truth. We must hold this truth tightly in our hearts and yet share abundantly with others. Make Jesus and His truth the treasure you cherish. Make sure He’s the legacy you leave. He is God and we are not. We are minuscule in the grand scheme of things. Consider the vastness of the heavens, the universe. Earth is a small part of the cosmos. Each one of us is a tiny part of earth. Still we belong to a Creator who knows our very hearts. He even desires a relationship with us. Moses had the benefit of an intimate relationship with Almighty God while also being a conduit for some of the Lord’s most celebrated miracles. In today’s world he would have made the headlines, gaining instant popularity. Yet Moses wasn’t anymore special than you or me. He simply chose to follow God and obey His direction for the deliverance of the Israelites. Consider the many miraculous events Moses experienced. One such encounter involved the Lord’s glory filling up the tabernacle. When Moses had finished erecting a place for God to dwell, His presence in a cloud settled over the tent of meeting and filled the tabernacle to capacity. It was so awesome Moses was unable to enter the tent. 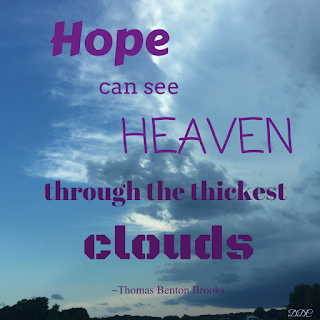 Try to envision God’s presence in an enveloping cloud. Imagine the grandeur of God Almighty holding you back from getting close. How did Moses react? What would you have done? It’s hard for human beings to grasp the expanse of a mighty God. Still this powerful God reigned in a cloud by day and fire by night leading the Israelites through the wilderness. He never left them. He doesn’t leave us either. Many years later God’s splendor resided in the temple Solomon built. The cloud filled the house of the Lord preventing the priests from performing their duties. God’s magnificence overpowered them. Solomon confirmed he had built a lofty house for God while remembering the Lord had said He would dwell in the thick cloud. Imagine the majesty of the Temple built by human hands. Now consider the resplendence of a God-filled cloud occupying the very foundation of human construction. King Solomon understood the greatness of God. He continued, “Will God really dwell on earth? The heavens, even the highest heaven, cannot contain you. How much less this temple I have built!” The king felt humility before an awesome God while also understanding that his Heavenly Father heard his prayer (1 King 8:23-29). He hears our prayers too. Moses and Solomon understood God’s greatness. They witnessed evidence of His power. 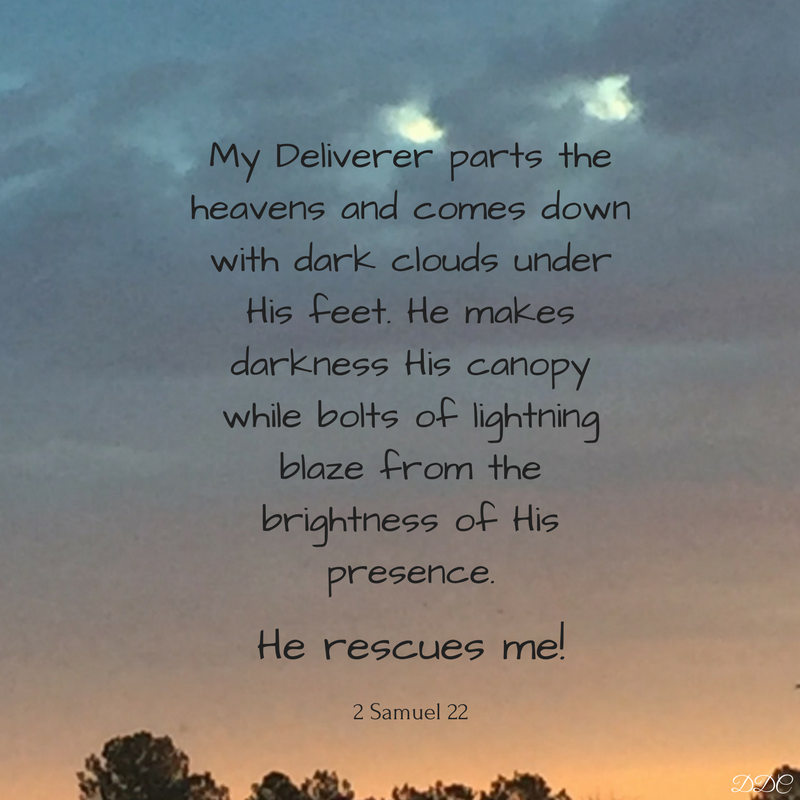 I stood within a mighty cloud and felt His presence. Maybe you’ve encountered His magnificence. When we humans are truly aware of God’s majesty, we realize our insignificance. But when we understand how much this supreme God loves and cares for us, we are overwhelmed with humble gratitude. God IS great and God IS good. He is a powerful Being who cares for each one of us. He hears our cries and listens to our prayers. Trust and obey Him. Have faith in His ability to take care of your loved ones. He is God and we are not. HE IS ABLE. Boldly I am able to say the Lord is my strength. No matter the troubles I encounter, even if overwhelmed by sadness, I can walk in confidence daily because of my Savior Jesus Christ. With Him all things are possible (Mark 9:23). However, there was a time I doubted my resilience from day to day, even minute to minute. When I experienced misery from the choices of a prodigal child, heartache and sorrow wracked my soul. At times I felt incapable of moving forward. I longed for bygone days of innocence and laughter with my daughter. But I could do nothing to alter the situation. The more I pleaded, the worst it got. The more I argued, the bigger the fight. The only thing I could do was let go, pray, and let God. Prayer was my direct line to the One who totally understood my pain. Even though I rendered only cries of torment and screams of anger, He still loved me. He listened with compassion and encouraged me with His Word. Though I doubted His presence at times, He never left my side. He surrounded me with empathetic friends who supported me when I needed a human touch. He patiently waited with open arms for me to embrace His peaceful gift of comfort. It’s difficult to trust Someone we don’t see. That’s where faith comes in. 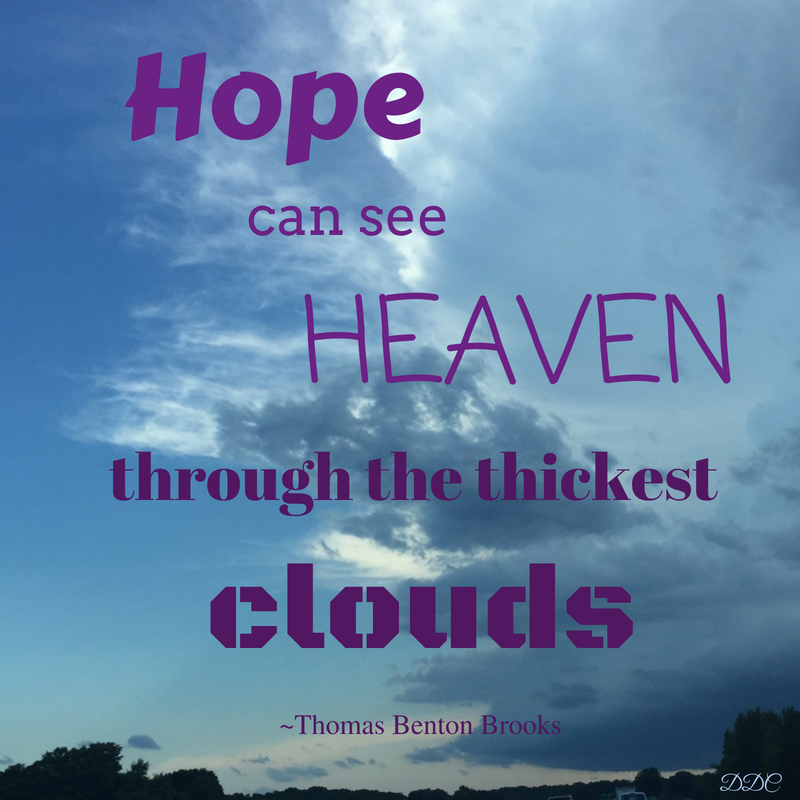 Bound in hope, faith becomes a certainty. The assurance of expected evidence—conviction of expectation. Faith relies on God. 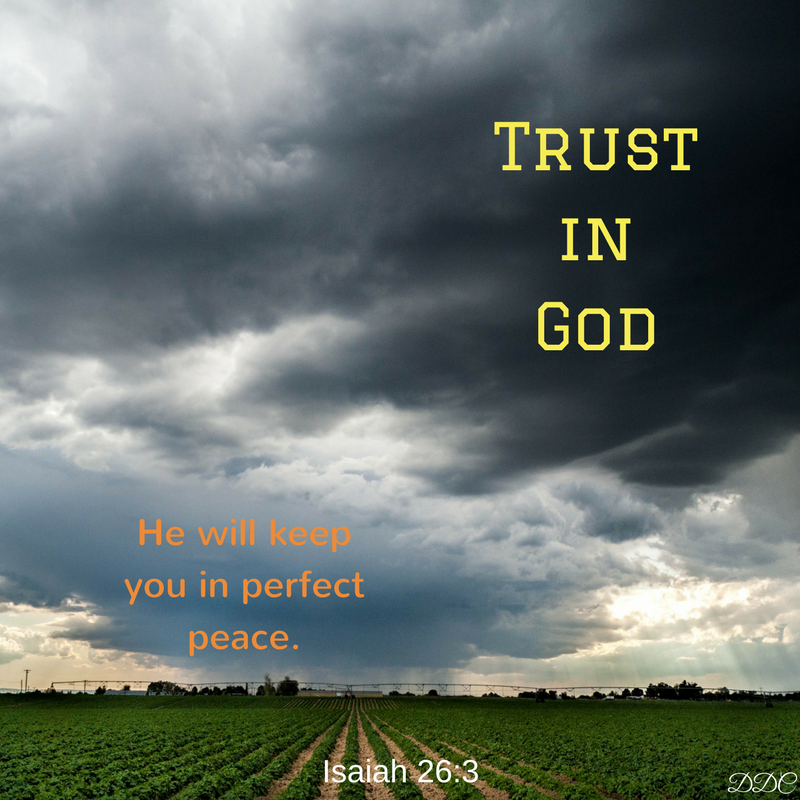 Are you struggling to trust God in your circumstances? Are you overwhelmed with weariness? Discover His hopeful message in the Bible. Scripture is full of His promises and He is the promise keeper. Surrender your worry to Him. Praise Him in your storm. He rides on the clouds to rescue you from fear. 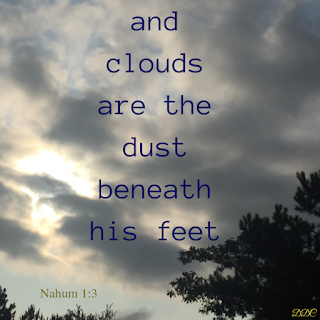 Believe that the dust of His feet is in your cloudy situation (Nahum 1:3). 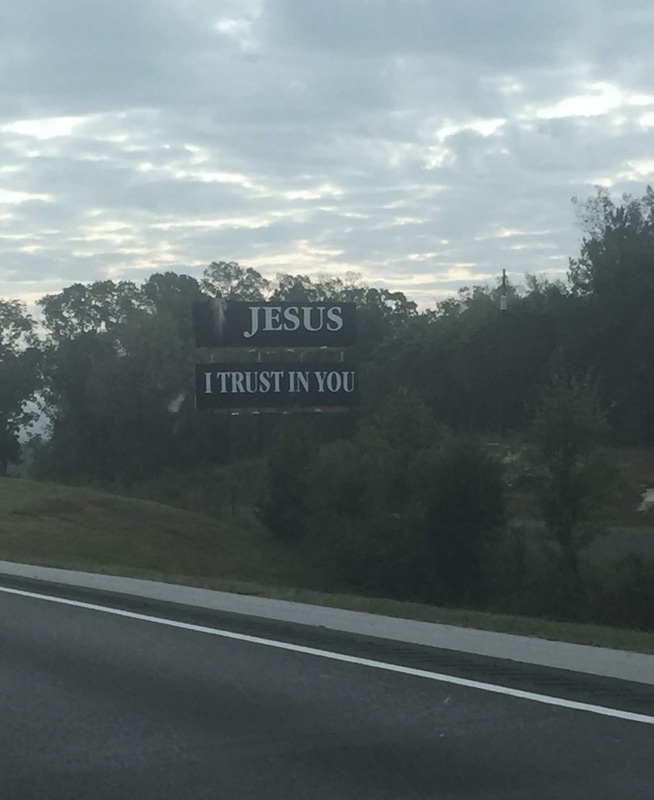 Trust Him. And receive the offering of His peaceful strength. 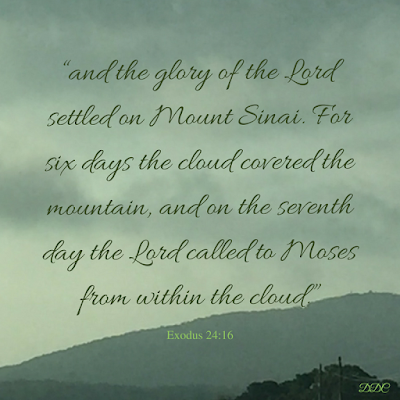 A cloud covering encircled the mountain, filled with God’s glory. Leaving everyone behind, Moses started up the mountain alone. “I’m coming, Lord,” Moses called out as he trekked the steep peak. Through haze, fog, and cloudy moisture. Cool, damp air hemmed him in. Eventually the dense mass distracted him. He wasn’t sure which way to go. What if he fell off a cliff? What if he stumbled over rocks? What if he confronted a wild animal? His mind filled with uncertainty. “Help me, Lord,” he cried. You called me to come up, right? Where are you, God?” he yelled. Days of quiet, nights of doubt. “God, I need you,” he screamed. His mind conflicted with anxious memories of Pharaoh and the Egyptian army until…. Remembrances of rescue and the parted sea rushed in, delivering peace. 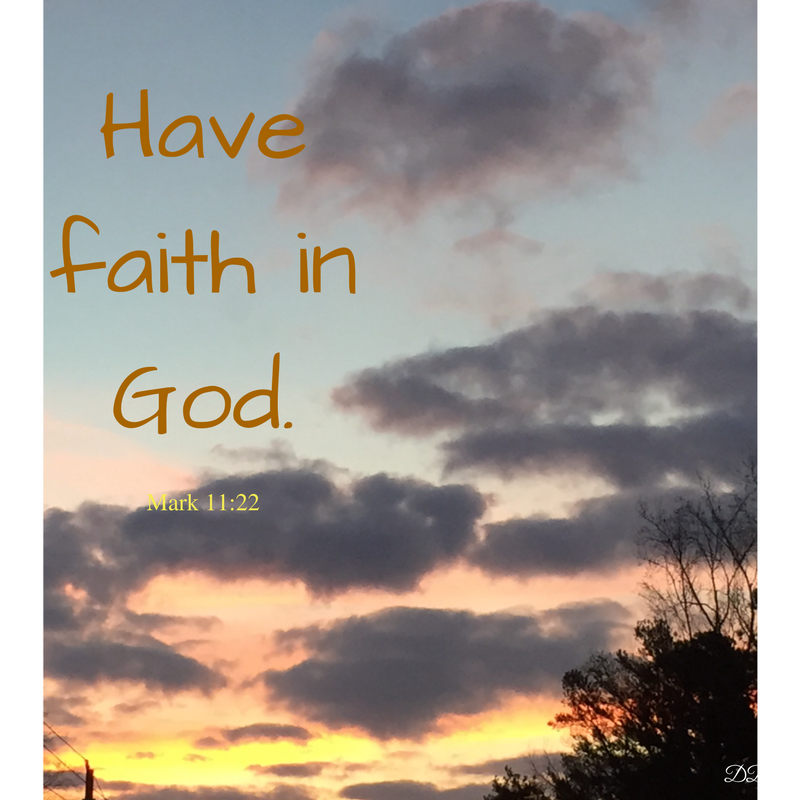 Slowly Moses moved forward, clinging to thoughts of God’s faithfulness. 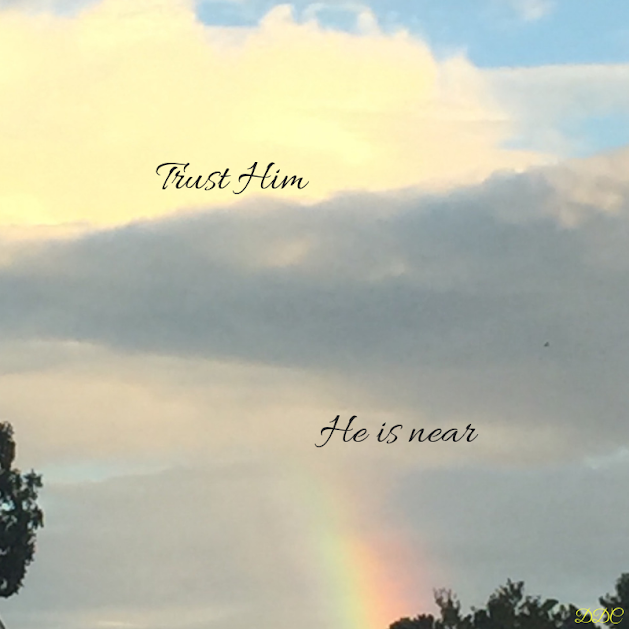 “I put my trust in you, Lord,” he prayed. Finally the Lord called out to him on the seventh day. Immediately Moses perceived God’s presence. He knew he wasn’t alone. The glory of the Lord overfilled the cloudy mist. Love and compassion, mercy and grace soaked Moses’ heart. Peace exceeding understanding saturated his mind. He knew, without a shadow of doubt, God existed and cared for His people, for him. Nothing else mattered but experiencing God. When the clouds gathered, God’s presence intensified. Do clouds hang over you, dripping with doubt and confusion, fear and pain? Are they obstructing your view of God? Do you feel abandoned and alone? At times in my life, I have allowed dark clouds to muddle my mind with angst. Worry has filled in the empty spaces, causing my stomach to churn. I’ve lived in fear until turning my focus onto Jesus. 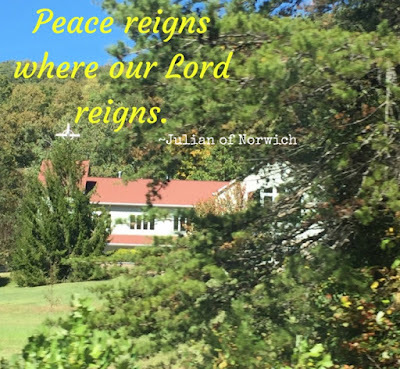 Only then did His peace prevail in my heart and mind. Moses, like all of us, experienced cloudy days and defeatist emotions. Can you imagine all the negativity he dealt with, the personalities he struggled with, the responsibility he carried in the desert? He had plenty of time to doubt God as he and the Israelites wandered forty years. 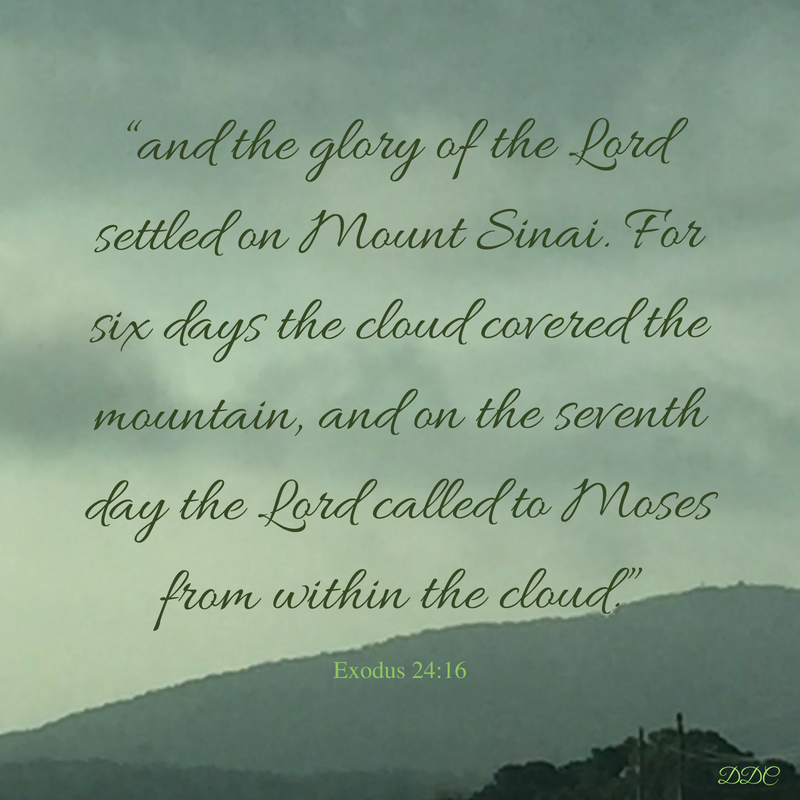 Trekking up Mount Sinai to God’s cloud of glory, he probably fought feelings of uncertainty about God with the assurance he knew about His Deliverer. With intentional trust, Moses positioned his eyes on the Lord. He experienced God's peaceful presence within the cloud of glory. 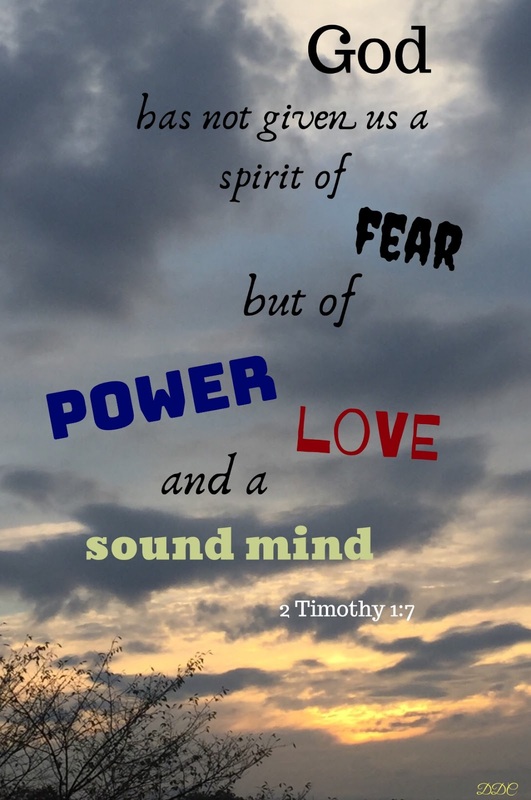 Are you battling feelings of fear and doubt? Do you feel as though you are confined by storm clouds? Seek the Lord God with all your heart, mind, and soul. Allow His Son Jesus Christ to deliver you from worry and uncertainty. Enter into His presence and find joy. Receive His peace.